The program also aims at increasing students' appreciation of world history, cultures, politics, economics, geography, literature, and the arts. In addition to giving the students the needed educational background in the above areas, the major provides the students with the skills in foreign languages as well as analytical and scientific thinking. The International Studies program is within the College of Liberal Arts and Social Sciences. The admission requirements for the International Studies program are the same as those of the University of North Texas and the College of Liberal Arts and Social Sciences. The major draws upon the undergraduate programs from the departments of Political Science, History, Economics, Sociology, Anthropology, Geography, Philosophy, Public Administration, Criminal Justice, Emergency Management, Accounting, Finance, Management and Marketing, and the courses of the certificate in International Business. Due to its interdisciplinary nature, the program's six areas of concentration will help students be competitive in the workplace and give them the opportunity to take advanced courses in different academic disciplines and prepare them for graduate degrees in several international studies fields. The students in the International Studies major will also be strongly encouraged to take advantage of the UNT Study Abroad Programs. On behalf of the International Studies Major, we are very pleased to inform you that we are offering the Professional Master Degree in International Studies starting Fall of 2014. The degree has been approved by our university Graduate school, the UNT Board of Regents and the Texas Higher Education Coordinating board. More information located under Master's Program tab at the top of the page. Instructions: The applicant will need to click on get started and they can set up their profile and start the application. Once you start the application it will first ask what kind of application (graduate) then it will ask you to select your college (UNT-Denton) next the term and then the major. These will all be drop down menu choices. **Marketable skills for this degree include interpersonal, cognitive, and applied skill areas, that are valued by employers, and are primary or complementary to the major. The marketable skills goal was designed to help students articulate their skills to employers. 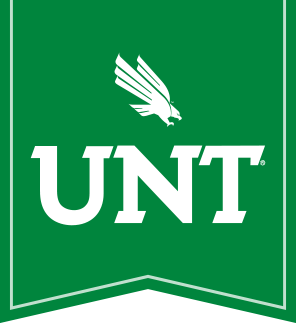 UNT's marketable skills were faculty-developed and approved by employers or discipline-specific agencies, e.g., internship providers, chambers of commerce, workforce development boards, and other workforce-related entities. For information on these marketable skills - https://vpaa.unt.edu/thecb/class.